DUI or “Driving Under the Influence” of intoxicating liquor or drugs involves driving with only slight impairment. This can be based solely upon the suspect’s driving behavior, physical appearance, verbal cues and performance on the field sobriety tests. The DUI charge does not require proof of a chemical test or information regarding the suspect’s blood alcohol content. The experienced DUI attorneys at Kester Law Group can challenge the basis of the officer’s traffic stop and/or the officer’s suspicion. Not every alleged traffic violation means a person is impaired. In Arizona, DUI law, DWI or “Driving While Intoxicated,” requires that the suspect has a BAC of .08 or greater within two hours of driving a motor vehicle. Unlike the DUI charge, a DWI arrest requires the suspect take a blood, breath or urine test to determine the BAC. It is important to determine if the blood, breath or urine test is obtained within 2 hours. WHEN IS IT NECESSARY FOR A BLOOD DRAW? If an officer suspects a person is driving under the influence of alcohol, drugs, medications or vapor releasing substances, the officer wants to obtain evidence that will prove someone was under the influence, impaired or at least, had drugs or medications or their metabolites present in the person’s system. Under Arizona law, it is up to the officer to decide what type of testing to request from the suspected DUI/DWI driver, which will be a blood test, a breath test, or a urine test. If the officer requests a blood and/or breath and/or urine test, the suspect has the ability to consent. If they do not consent, then the officer can attempt to obtain a warrant, if reasonable grounds exist. If a person/suspect refuses or does not consent, their license will be suspended for one or two years. Then the officer will request a warrant from a court and draw blood. Extreme DWI, also called Extreme DUI, requires that the suspects BAC is .15 or greater within two hours of driving a motor vehicle. The charge also calls for the suspect to take a blood, breath or urine test to determine the BAC. An extreme DWI conviction carries a much larger penalty than the DUI or DWI charge. If the BAC is at or above a BAC of 0.2 or greater the suspect may be charged with a “Super Extreme DUI” which carries even harsher penalties and fines. The DUI attorneys at Kester Law Group can help! Call for a free, no obligation, consultation 24/7 or fill out our contact form and an attorney will contact you! Apart from ordinary DUI charges, which are extremely serious, there are harsher DUI charges such as a super extreme DUI charge. A super extreme DUI charge comes with more severe penalties. An ordinary DUI entails a license suspension and jail time. A super extreme DUI carries increased jail time and fees. In Arizona, DUI’s are extremely serious and may also require an ignition interlock to be installed in a vehicle you operate. The ignition interlock prevents a vehicle from starting until the operator performs a breath test. In the state of Arizona, a driver is presumed to be driving under the influence if their blood alcohol content is at or over .08 percent. Once a driver’s BAC exceeds .15 percent, they are charged with an extreme DUI. A super extreme DUI will occur if a driver’s BAC is at or in excess of .20 percent. The penalties and fines related to this type of charge are severe because a driver at this BAC level is considered to be extremely impaired. WHAT ARE THE CONSEQUENCES OF A SUPER EXTREME DUI? 45 to 180 days in jail. An estimate of $3,000 in fines. An ignition interlock device for a year and a half. Probation of up to five years. The consequences of a super extreme DUI are serious and exponentially increase with a second or third offense. Those that are charged with a super extreme DUI should strongly consider acquiring professional representation. The minimum jail time for this type of charge is 45 days, but an attorney may be able to get this reduced. HOW DOES A DUI LAWYER HELP WITH A SUPER EXTREME DUI? There are many ways a DUI attorney can help fight charges of a super extreme DUI. 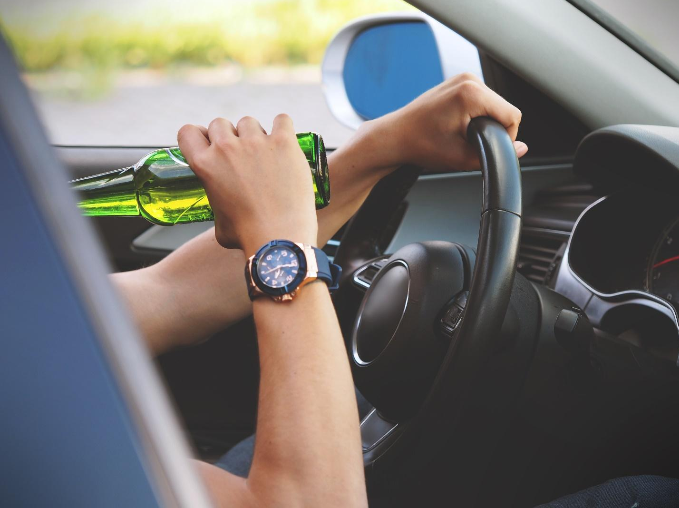 The blood alcohol level of the driver could be called into question and charges could consequently be reduced to an extreme DUI or even just a DUI. The stop itself can be challenged. The evidence can controverted or suppressed. Attorneys can request that a driver be given house arrest rather than jail. Anyone facing a super extreme DUI needs to acquire the assistance of an attorney rather than face the charges alone. The attorneys at Kester Law Group can help with your super extreme DUI charges. The suspected driver’s license is suspended, restricted, revoked, canceled, etc. The suspect has a passenger less than 15 years of age in the vehicle. In Arizona it is illegal for a person under the age of 21 to operate or be in actual physical control of a motor vehicle while there is any spirituous liquor in the person’s body (DUI). If the person is under the age of 21, he/she will be penalized for having alcohol in their system regardless of whether the their ability to drive was impaired even to the slightest degree. If convicted, the driver faces a two year license suspension through the motor vehicle department. The under 21 driver often receives the charges of A.R.S. Section 28-1381(A1) and (A2) – DUI and DWI- in addition to the underage DUI charge. Never drive on a suspended license because the problems just become worse. IF STOPPED FOR DUI KNOW YOUR RIGHTS! YOU HAVE THE RIGHT TO REMAIN SILENT. USE IT!! If you are stopped, you have the right to remain silent. Arizona DUI law does not require you to answer questions. If stopped, present the police officer with your driver’s license, proof of insurance and registration. Do not answer any other questions and do not admit to anything. Do not engaged in small talk. Resist answering questions that may be used against you later in court or saying anything whatsoever. The right to remain silent is your constitutional right. It was established to protect you from being forced to testify against yourself. If you are stopped by police, immediately request a private and confidential call with an attorney. Most times the police will even provide you with a phone book to locate an attorney. Call Kester Law Group for your DUI needs at (480) 771-6000. Arizona DUI law gives you the right to consult with an attorney before submitting to any chemical test (breath or blood) as long as it does not delay the investigation. Invoke your 5th amendment right to remain silent. Refuse to answer any questions. Provide a copy of your license, registration and insurance information and say nothing else. No small talk. Refuse any eye or physical tests. Immediately demand a confidential and private phone call with an attorney. Submit to a blood/breath test only after a confidential and private phone call with an attorney. Call Kester Law Group at (480) 771-6000; We handle DUI/DWI and all types of criminal cases for affordable fees.